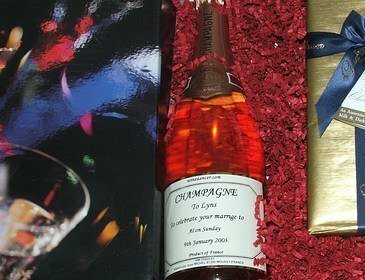 One bottle of Personalised Champagne and a box of Belgian Chocolates 190g Box.A present for a Birthday or Anniversary. You can add up to 4 lines of wording. 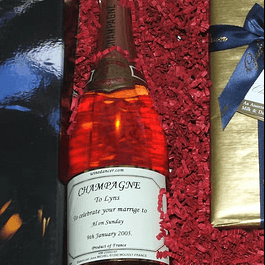 The word Champagne is already on the label. If this is a special gift you can select the delivery date after you checkout. You can add a free card or see our selection of cards for every occasion.